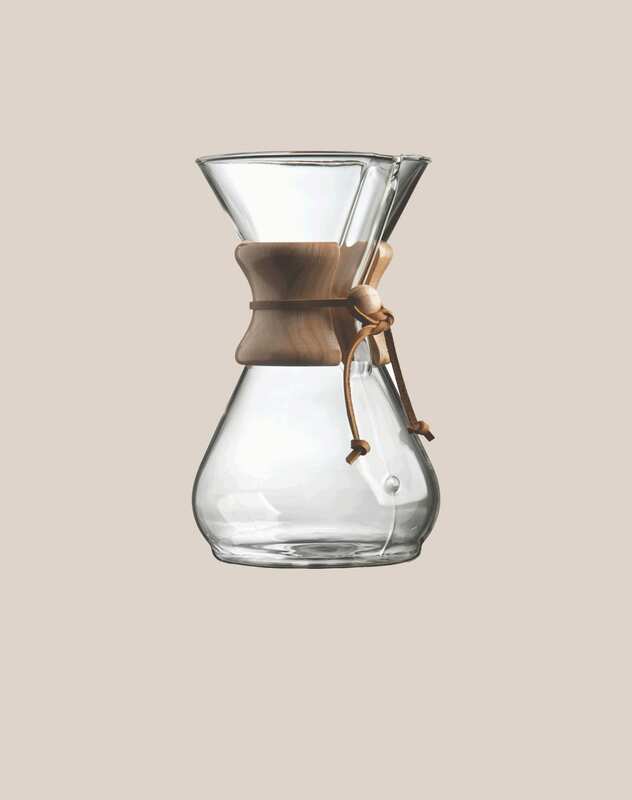 Chemex is yet another interpretation of the “pour-over” technique where the filter holder and jug is combined into one. 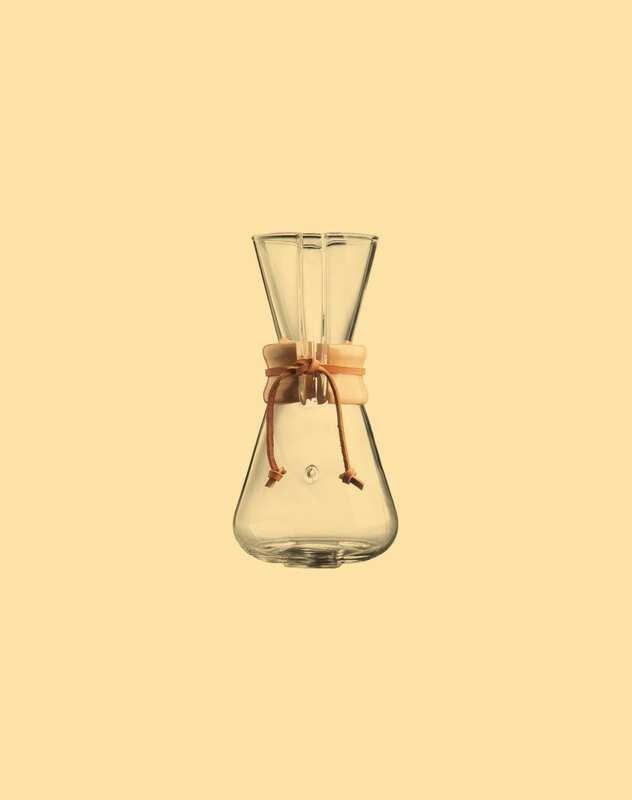 The coffee made by Chemex is known for a very gentle and round taste. 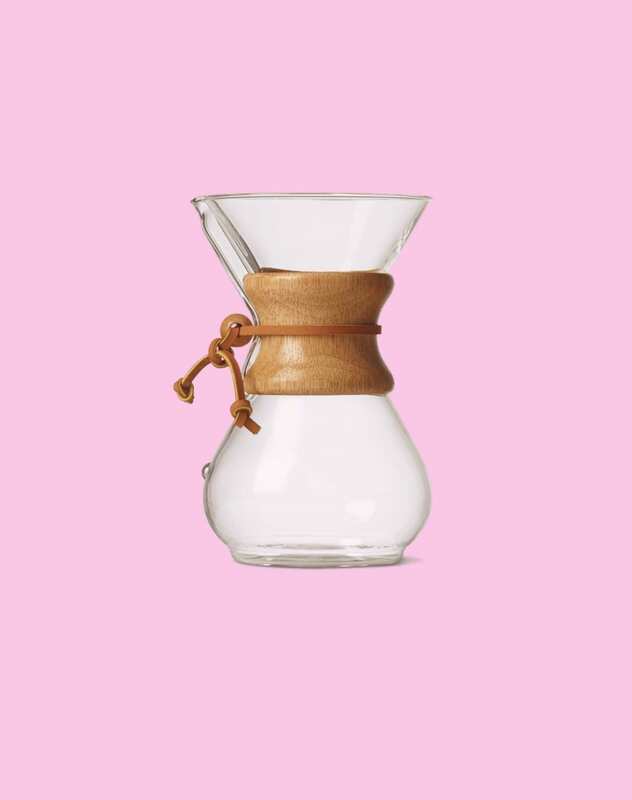 The extraction is determined by the speed of the flow of water, so the taste will depend on how fast you pour the water combined with the coarseness of the coffee ground. (We recommend around sea-salt size ground). Remember to rinse the paper filter with hot water before brewing to ensure that the glassware isn’t cold upon extraction.